It’s impossible to imagine the history and culture of the Kyrgyz without Tien Shan and Pamir mountain ranges. Visit Kyrgyzstan, the land of celestial mountains, to get to know about the true nomadic lifestyle and unveil the real spirit of freedom and happiness. Pristine valleys. Crystal clear mountain lakes. Powerful mountain rivers. Rich flora and fauna embracing rare species. 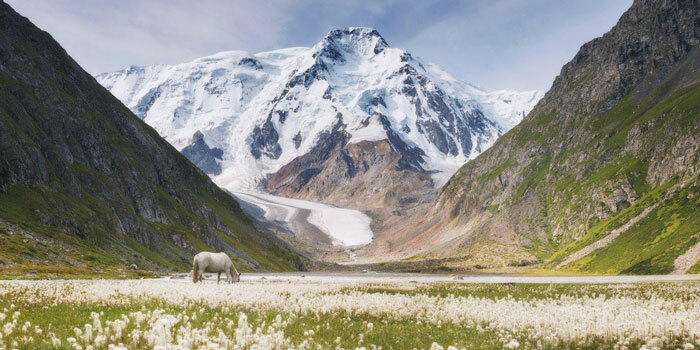 Discover the virgin nature of Kyrgyzstan! The current territory of Kyrgyzstan served as the main bridge on the giant trade route connecting the East and West. Some routes are still used in the country as highways. By visiting the historical sites along the route of the Great Silk Road, one can delve into the past and feel the spirit of antiquity and the middle ages. The Kyrgyz have been traditionally nomadic people up until the second quarter of the 20th century. Today Kyrgyzstan is one of the few countries where a certain part of the population still practices a semi-nomadic lifestyle. Welcome to Kyrgyzstan to learn how to set up a traditional nomad’s house bozui, what the taste of koumiss feels like and the process of making it, how kyrgyz nomads lived in the past and how they live on summer pastures today. The Kyrgyz have preserved rich and diverse cultural heritage for centuries. Visit Kyrgyzstan to learn more about kyrgyz folklore, on the top of which comes the Epic of Manas, novels by famous kyrgyz writer Chyngyz Aitmatov, spectacular and entertaining national games and kyrgyz handcrafts. 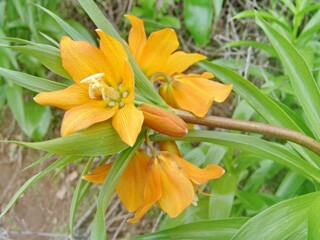 Aigul, meaning 'moon flower,' is a beautiful endemic flower that grows nowhere else on Earth but on the slopes of a rocky mountain called Aigul-Tash, located 17 km from the town of Batken.